Female Hand Trying Cutted Melon At Supermarket. 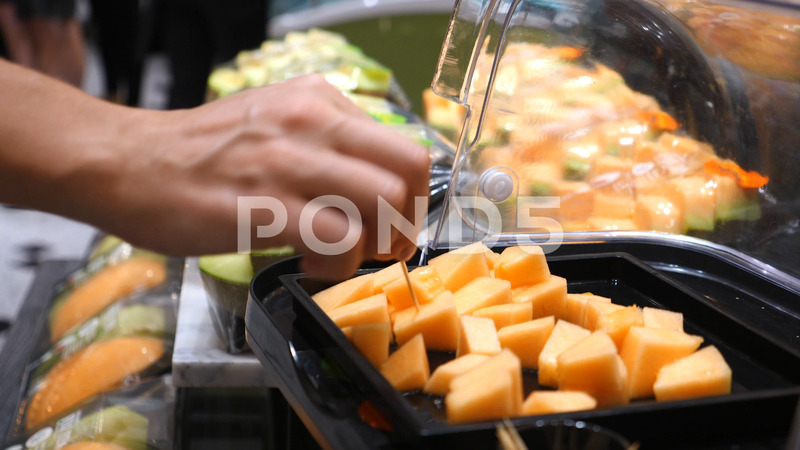 Description: Female Hand Trying Cutted Melon At Supermarket. 4K. Close-Up.